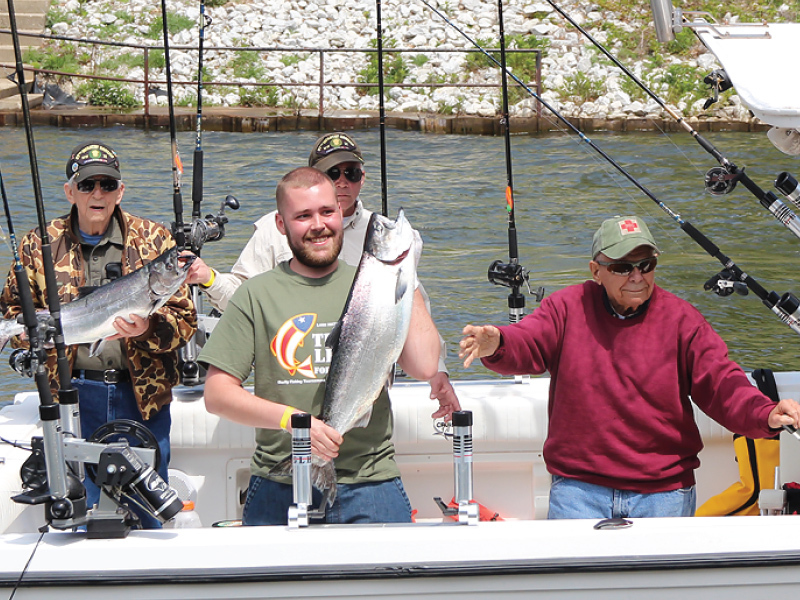 Every year the Manistee Community hosts Tight Lines for Troops on Armed Forces Day weekend, May 17 and 18 this year. November 1 – March 1: Veterans file application to participate. Friday, May 17: Veterans register and share a meal with their Comrads, Charterboat Captains & Crew. Saturday, May 18: Before dawn, 5:00am, Veterans board their fishing boats, parade to the pier heads at Lake Michigan and gather around the USCG’s Life Saving Boat. 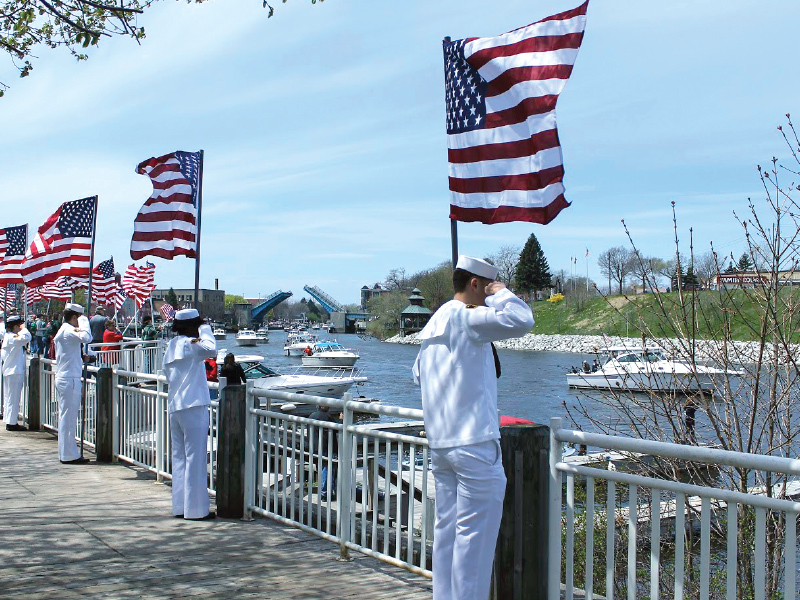 Around noon the boats return to the Manistee River channel to receive a hero’s salute from a community of flag-waiving, welcoming cheers and “Thank You for Your Service” along the piers, Riverwalk and drawbridges. Every Lake Michigan fishing tournament has a weigh-in, and this one is special. Volunteers and National Guardsmen clean and pack the fish fillets in eCoolers donated for the Veterans to take home the catch of the day. To honor our fallen Veterans, the Michigan Veterans Memorial Wall, and the Middle Eastern Memorial Wall will be on display. 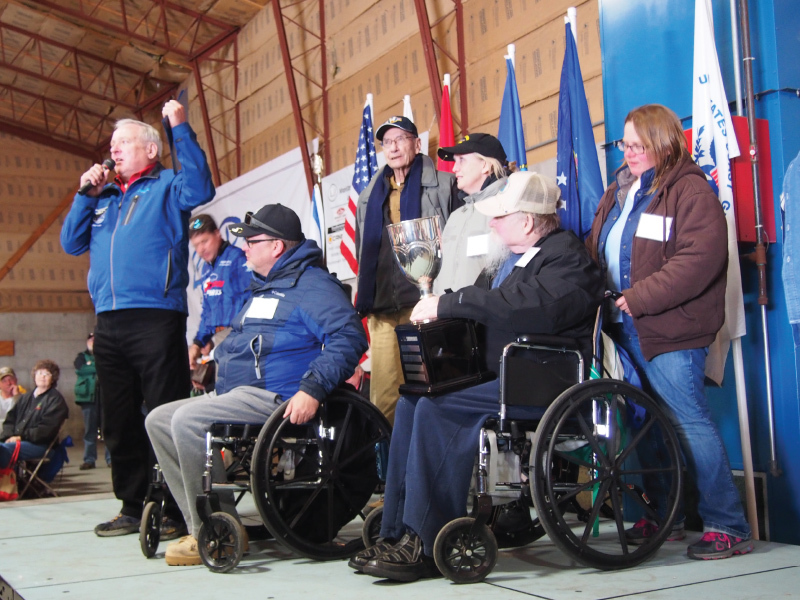 Eric Gustad, Vice Chair of the Tight Lines for Troops Board of Directors said they expect to receive over 500 Veteran applications between November to March 1. Veterans pay no charter fees or entry fees. 300 Vets will be able to fish Lake Michigan on 40+ charter boats, many more fish the rivers in drift boats or in the Pier/Shore Division. While some Veterans participate more than one year, the priority is to host at least 75 percent of new Vets each year. Boarding priority goes to Veterans from WWII, Korea, Purple Heart recipients, Veterans disabled, POWs, Families of Gold Star Veterans, and then any Veteran of any branch of service. The Vets from different wars or conflicts are placed together on the boats.